This entry was tagged Andalucía, Buddhist, culture, East of Malaga, Europe, Malaga, Religion, Spain, Stupa, travel, Travel theme, Velez Malaga, Weekly Photo challenge. Bookmark the permalink. Thanks for this. I would probably never have heard of it otherwise. When we make it down to Malaga, it’s definitely on our list! 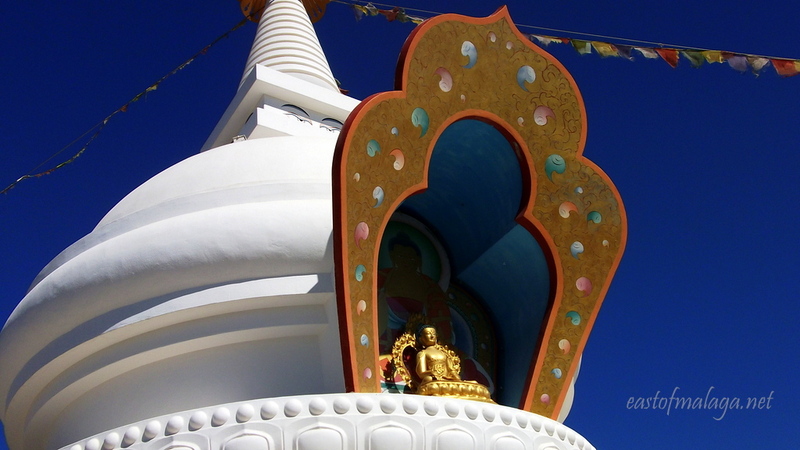 I went to the Stupa yesterday and found it to be absolutely stunning. Did a walking meditation and also managed to take in the impressive view. Thanks for your blog on this. How lovely! I’m glad you went to the Stupa, Roy, the views are pretty amazing,aren’t they? You had such a perfect day for it, too! That info on the Buddhist Stupa is amazing, what a beautiful peaceful place. I didn’t know about it on my last visit to the region but it will certainly be top of the list on my next visit. Thanks for posting this. I´m so glad you enjoyed the post, Roy. 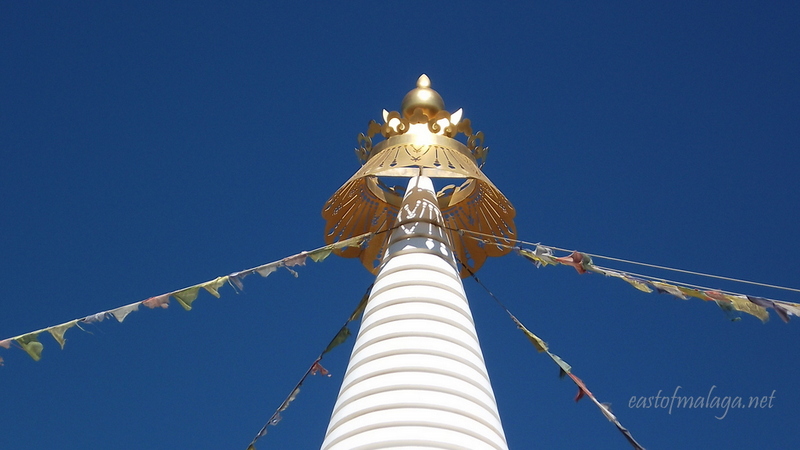 I can absolutely recommend a visit to the Stupa. I have visited it on three occasions when we have had visitors staying with us, and on each occasion we were the only people there at the time. There are notice boards to one side explaining the origins of Stupas and their meanings, which makes for interesting reading. 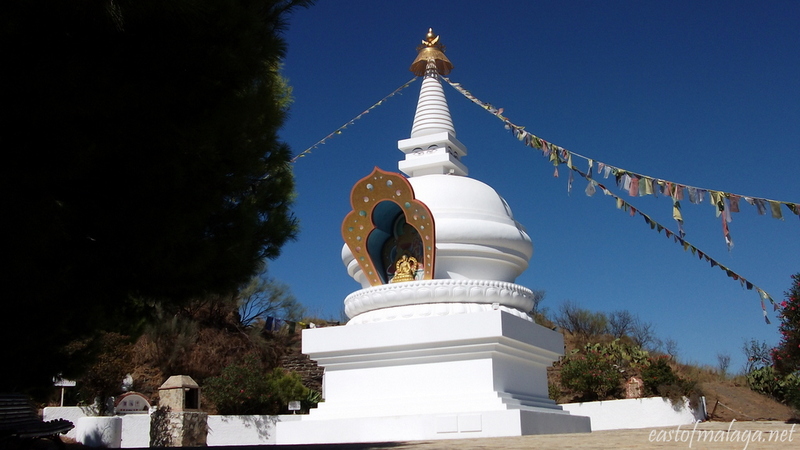 We went to the Stupa in Benalmedina when we were last over, even attended the guided meditation , which we didn’t understand a word of but it was still a great experience . Thanks Marianne for an excellent blog. Ah yes, I’ve seen the one at Benalmadena from the motorway, as we have driven past on the way to Gibraltar, but never had the chance to get down to it. Thanks for your kind words – very much appreciate you saying so. Thank you very much, it was a lovely surprise. Oh that´s great! How was the retreat? Would you recommend it? It was during a visit of the Karmapa of Tibet. I spend two full days of meditating with him and a couple of thousand of other followers of Diamondway Buddhism. The experience was very interesting. The meditation for hours on end was tough, but the energy of all those people there was tangible. OK, I have a weakness for anything Buddhist, but this is very well done – I like the way you introduce and guide us to the subject, then through it. 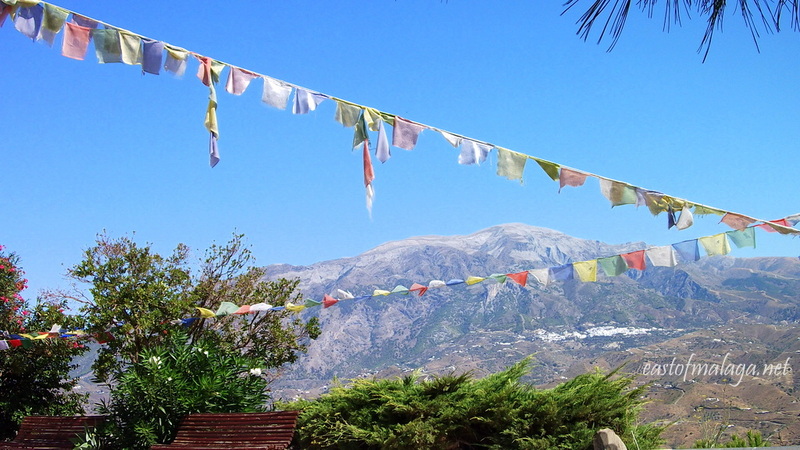 …and I really love the prayer flag close-up. Such a beautiful spot for shrine! I wish I’d known of this when I visited the Costa del Sol. It would have been well worth a brief detour to see this stupa. Thanks, Marianne, for taking me there. 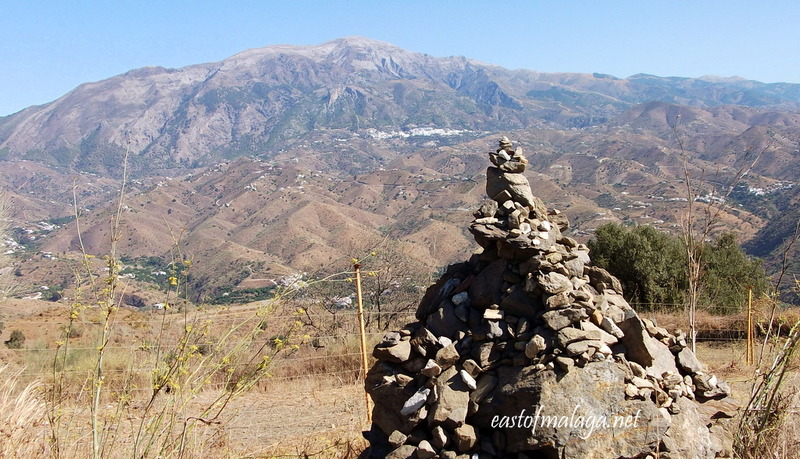 Visitors and locals of East of Malaga are so blessed with your blog. You’ve given them fruitful of information and tips. It really is, Joshi. Very calm, quiet and inspiring. Daniela of the Lantern Post! Thanks for your comment, Daniela. I am honoured that you have chosen to nominate me for the award, which is now proudly displayed on my “Recognition” page. Nice blog and digital pictures. Thanks for sharing. Can’t wait to see your next blog! Have always wanted to track it down and now I can! Beautiful images. 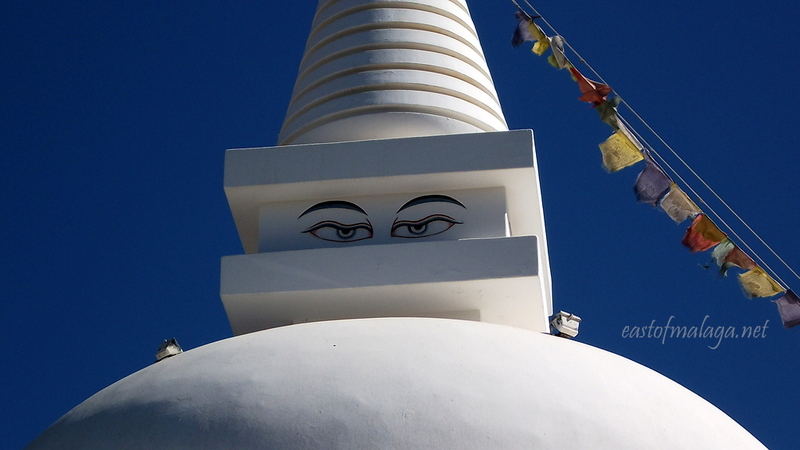 Wonderful that the Stupa it is so hidden but so stunning whe you come across it. It certainly looks like it has the power to protect against negative energies. It´s all the more special because of being hidden. I agree Fats – no matter how eloquently the description – the photographs truly tell the story 🙂 That´s mostly how my blog rolls – you´ve nailed it! Thanks for your comment and for your continued support of my blog. Much appreciated. All glorious photographs. 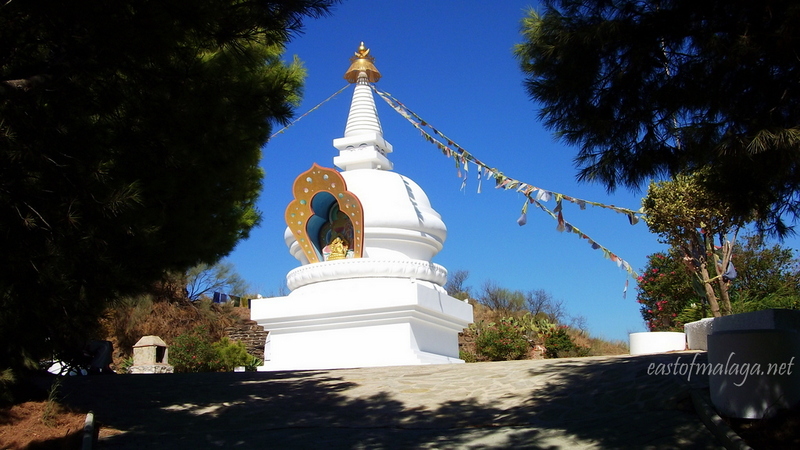 The stupa with the sea in the background is my favourite. 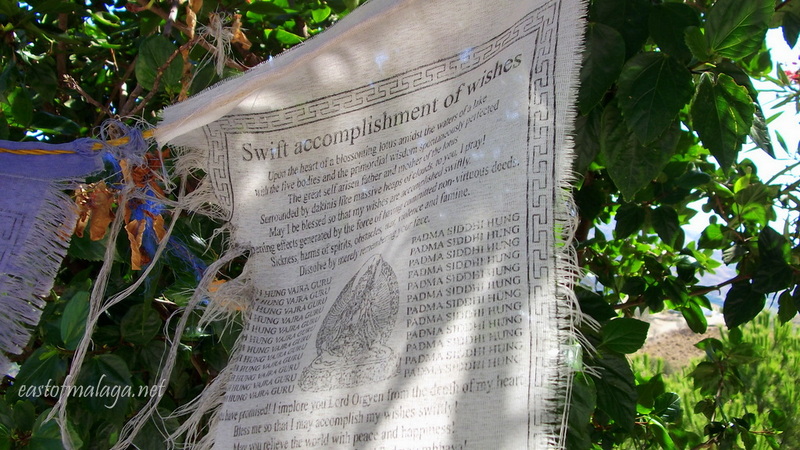 And the prayer flag with the swift accomplishment of wishes. The serenity of the environment shines through your photographs. Thanks for sharing this beautiful part of the world. Your photographs are, as always, beautiful, a lovely distraction, a momentary holiday in my every day. And how surprising to find a Buddhist stupa in your neck of the woods! Gorgeous photos! Perfect for the Peace Day! Yes, they are quite special, aren´t they? 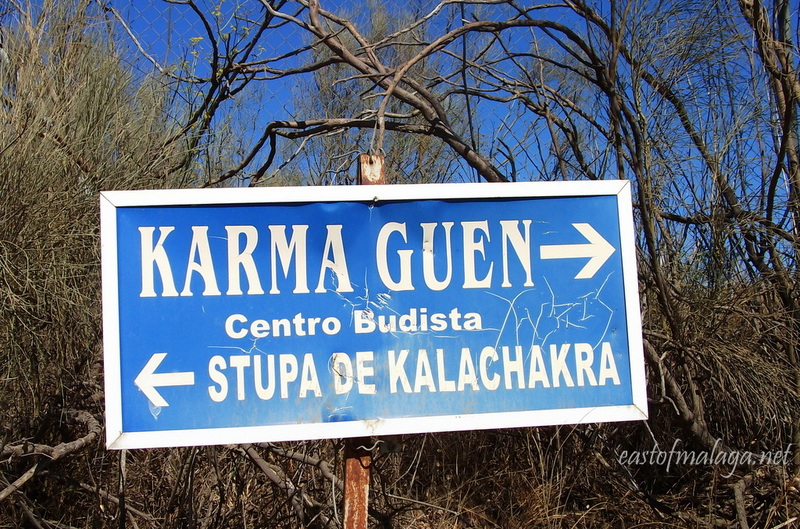 I had never heard of a stupa. Thank you for enlightening me. Lovely. Now I know where to find my *peace* related White Theme photos. Buddha really oozes peace and so do the stupas. Great concept, greater pics. Fabulous photos, what an amazing place! Thanks for your comments Christine, and I hope your European holiday is proving to be everything you hoped it would be. Looks so beautiful and so peaceful. That contrast always works so well! Maybe it’s that pure white goes so well with any other colour? 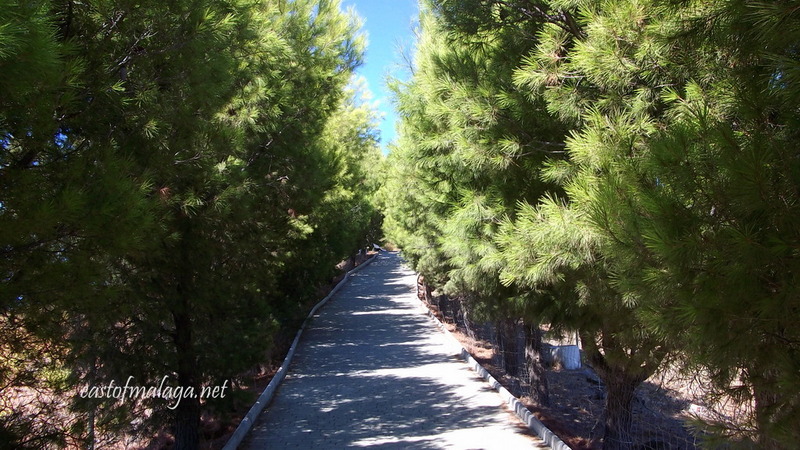 Do you think your hairy caterpilars haunt the pine tress there as well, or are the sort of behaved and on their best behaviour around the Stupa? Yes, I think you´re right – pure white does go so well with any other colour. I would think the processionary caterpillars would have a field-day here (or would that be a pine-tree day? ), without the slightest respect for where they are! 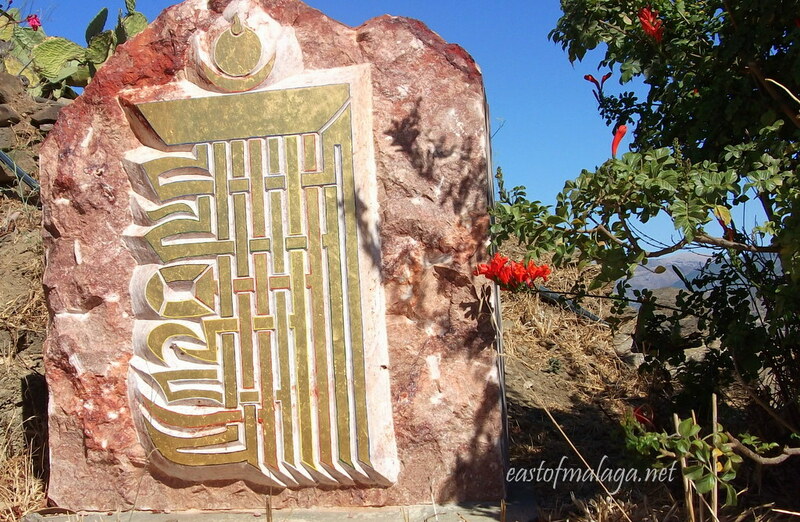 I regularly visit the Stupa in Benalmadena which is a wonderful place to reflect and renew, but I didn’t know about this one in Velez, thank you, its now on my “must go see” list! I´ve seen the one in Benalmadena from a distance – one of these days I´ll get to visit it close-up. Very cool! I love Buddhist stupas, temples, everything Buddhist! Thank you for your kind comment – much appreciated. It´s a lovely theme this week, isn´t it? I´m looking forward to seeing how people interpret it.